Following the memorable presentation last year of Lumière ! L’aventure commence (Lumière! 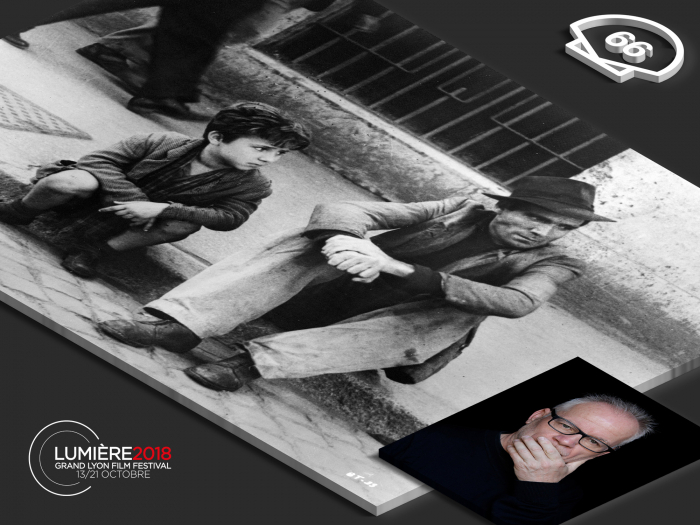 The Adventure Begins), a screening with comments by the director of the Cannes Festival and of the Lumière Institute, Thierry Frémaux, the San Sebastian Festival and the Lumière Festival in Lyon now open collaboration on what will become a yearly rendezvous with the screening of a restored classic. The project chosen to launch the initiative Klasikoa is Ladri di biciclette / Bycicle Thieves (1948), by Vittorio De Sica, an emblematic film of Italian neorrealism. The film has been restored by the L’imagine Ritrovata laboratory, part of Italy’s Fondazione Cineteca di Bologna, a global benchmark in film research, conservation and restoration. The restored copy was presented in the Cannes Classics section at the last Cannes Festival, followed shortly afterwards by its screening at Bologna’s Il Cinema Ritrovato Festival, as part of its Ritrovati e Restaurati 2018 / Recovered & Restored 2018 section. Every year, a film chosen by the Festival and the Lumière Festival will be screened in San Sebastián. The screening of Ladri di biciclette, presented by Frémaux, will take place in Tabakalera on Monday, September 24. In post-war Rome, Antonio, an unemployed worker, lands a simple job putting up posters on the condition that he has a bicycle. With great difficulty, he manages to buy one, only to have it stolen on his first day of work. This is the start of an adventure whereby Antonio will try to recover his bicycle, with his son Bruno, while his wife Maria waits at home with their other child. Desperate, Antonio tries to steal a bike, but is arrested by the police. Reporting by Inés Barreda de Biurrun and Bruno Chatelin. Stay tuned for our video coverage.